Wisconsin Badgers quarterback Alex Hornibrook won Saturday's Air It Out competition at the annual Manning Passing Academy in Thibodaux, La. The Mannings (Archie, Eli and Peyton) have hosted the camp for more than 20 years. The Air It Out competition is held among the camp's counselors, who are made up of top college quarterbacks. This year's group included Hornibrook, Washington's Jake Browning, Georgia's Jake Fromm, Alabama's Jalen Hurts, Missouri's Drew Lock, Penn State's Trace McSorley and Central Florida's McKenzie Milton, among others. Hornibrook, a junior, was the only quarterback able to hit a golf cart driving down the right sideline, thus winning the competition. Last season, Hornibrook completed 198 of 318 passes for 2,644 yards with 25 touchdowns and 15 interceptions. 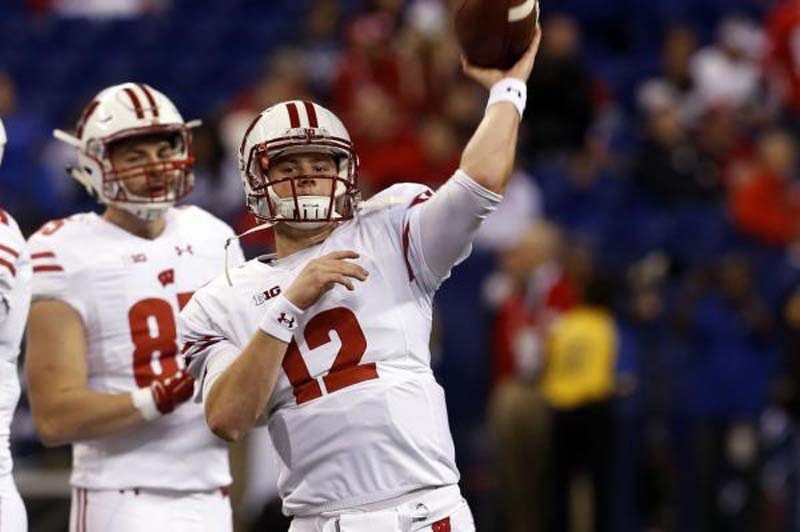 The Badgers went 13-1, winning the Big Ten West title and the Orange Bowl.